April 2, 2019 limrablogadmin DOCTORS NEWS, FOREIGN MEDICAL GRADUATES MCQ, MBBS, MBBS IN ABROAD Are MBBS and MD the same courses?, How much would it cost for the MBBS course?, Why is Limra, Why Philippines? It’s quite natural that the idea of stepping outside into a completely new world would fill you up with nervousness. Just out of the protective walls of your school and you now would go to study abroad is nothing less than frightening. It’s not only you, but your parents are equally nervous. In such situations you should visit reliable and trustworthy educational consultants who can allay your fears to a great extent. One such institution is Limra Educational Consultancy. With experienced counsellors who are friendly and comforting supported with a lot of self-explaining pamphlets, you and your parents would definitely find it very reassuring. It’s a one stop solution for MBBS study in the Philippines, starting from the counselling level to admission, visa formalities and even finding accommodation in the foreign land of the Philippines. Quality education, reputation of the college, recognition of the MBBS courses by WHO and MCI, jaw dropping technology and savvy equipment, affiliated to various hospitals for clinical practice, most of the inhabitants speaking English so patient care becomes easier, weather is quite similar, cost is 60% less compared to private medical colleges in India, as there are no donations, prevalence of English Language as the medium of instruction, availability of Indian food, good hostel accommodation within the campus: separate for boys and girls, proximity to international airports and top class security for students of the medical schools are some of few reasons why you should the Philippines. Why is Limra supporting the Philippines? Limra supports this country because of these advantages discovered by it after years of research into MBBS study in various countries, and judging the compatibility level to Indian standards. We are the official admission partners in India for Davao Medical School Foundation, Davao and Southwestern University at Cebu. Limra Educational Consultancy has an office at Davao to facilitate smooth transition of the Indian students into the Philippine medical colleges, with respect to visa and admission processes. It is the first to do so among Indian agencies and it has proved to be of immense help to our students and parents as well. Philippines medical college fees would cost in the range of Rs 12-20 lakhs for the complete medical course. There are some medical colleges/universities in the Philippines charging low fees, but would you like to compromise with the quality of medical education and not so good facilities for less tuition fees? MBBS is called MD in the Philippines. Doctor of Medicine (MD) is similar to doing MBBS degree from any of the Commonwealth countries such as India, Pakistan, and Bangladesh. 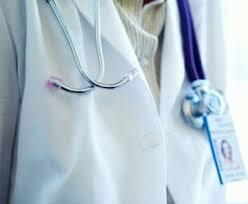 The Philippines medical colleges offers M.D as it primary medical course for practitioners. The MD course in the Philippines is recognized by World Health Organization and Medical Council of India, which is very significant for your career. Are these medical schools recognised by their Government? The Commission on Higher Education (CHED) of the Philippines is responsible for accrediting medical school and colleges. After acquiring the MBBS degree in the Philippines can Indian students start directly practicing in India? After completing the MD degree in the Philippines, Indian students need to clear Foreign Medical Graduate Exam (FMGE) also called as Medical Screening Test, to start their medical practice in India. They have to pass the FMGE to do post-graduation in Medical Science. Limra Educational Consultancy conducts free tutoring of its students for the FMGE. What are my future prospects to pursue my practice as a doctor in UK or the USA? Every year 8000 international students enrol in almost 40 of such Philippines Medical universities and out of them, more than 50% are Indian students. The Philippines universities and colleges are well reputed for its quality and thousands of doctors every year go to work in USA, UK, and other developed western countries. One among ten doctors in the USA has studied at one of the Philippines medical university.